From February 2017 the allocation of Home Care Packages has changed nationally. Previously when a package became available in Northern Sydney it was allocated to another resident in Northern Sydney, ensuring a constant allocation to this region. Under the new reforms when a package becomes vacant it is returned to a national pool and allocated to the next eligible person on the waitlist under a new national prioritisation process. This process allows for packages to be allocated to individuals rather than providers or regions. The new system aims to allow consumers to have more choice and control over their care, including the ability to change providers. 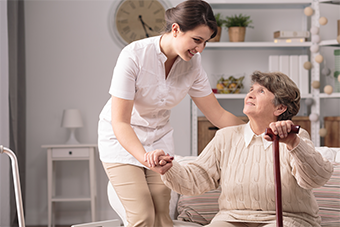 The much anticipated publishing of the Home Care Packages Program Data Report including the Waitlist status was published in September. The report reveals that Northern Sydney has the highest number in Australia, of Level 3 & 4 approved residents waiting for a package (1398 as at 30th June 2017). 10,200 lower level packages will be converted into 6000 higher care packages (across Australia). SNPHN has addressed this gap in service provision locally, by commissioning two organisations JBC and Kincare to support elderly residents at high risk of hospital admission or re-admission, to access and navigate appropriate services to stay at healthy at home. For more information about these services click here. For Health Professional My Aged Care referrals please access web referral or utilise the Health Professional Fax referral form. For more information or assistance from SNPHN staff, contact the Primary Care Advancement team at pcait@snhn.org.au or phone 9432 8250 and ask to speak to your PCAT Coordinator.